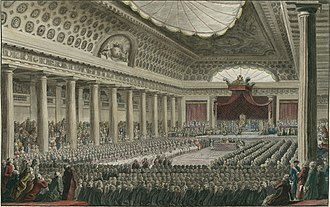 Events from the year 1802 in France. 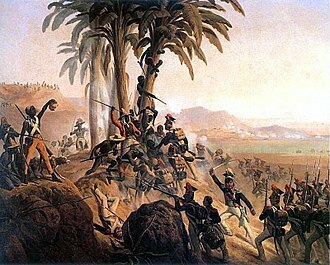 23 February - Haitian Revolution: Battle of Ravine-à-Couleuvres, French victory. 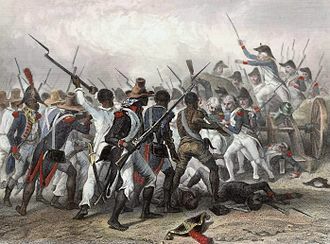 4 March-24 March - Haitian Revolution: Battle of Crête-à-Pierrot, French victory, taking a besieged fort from Haitian forces. 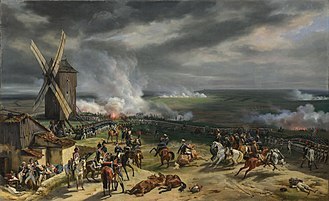 25 March - Treaty of Amiens, temporarily ended hostilities between France and the United Kingdom during the French Revolutionary Wars. 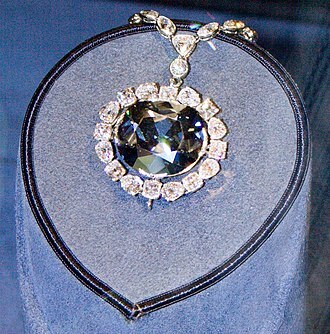 8 April - Organic Articles presented by Napoleon. 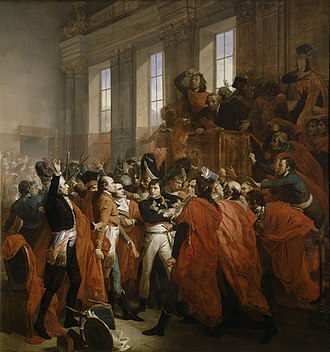 26 April - General amnesty signed by Napoleon Bonaparte allowed all but about one thousand of the most notorious émigrés of the French Revolution to return to France. 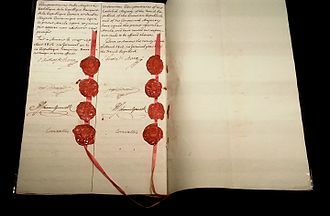 10 May - Constitutional Referendum ratified the new constitution of the Consulate, which made Napoleon Bonaparte First Consul for life. 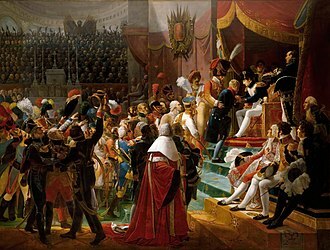 19 May - Napoleon establishes the légion d'honneur (Legion of Honour). 20 May - Napoleon Bonaparte reinstates slavery in the French colonies, which had been abolished during the French Revolution. 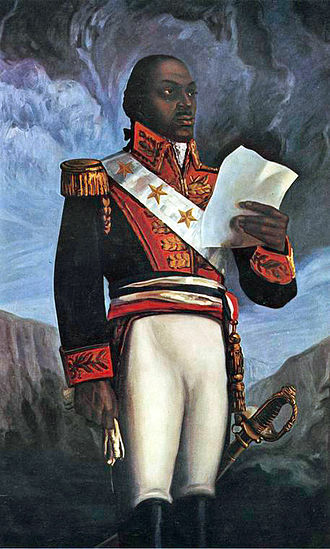 8 June - Haitian Revolution: Revolutionary Toussaint Louverture is seized by French troops and sent to Fort de Joux prison. 11 September - The Italian region of Piedmont becomes a part of the French First Republic. 3 January - Félix Dupanloup, Bishop of Orléans (died 1878). 6 February - Gustave de Beaumont, magistrate, prison reformer and travel companion to Alexis de Tocqueville (died 1865). 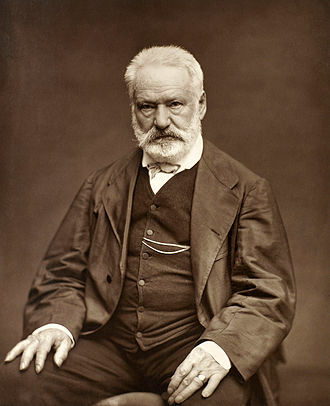 26 February - Victor Hugo, poet, playwright, novelist and statesman (died 1885). 5 May - Jean-Joseph Gaume, Roman Catholic theologian and author (died 1879). 6 May - Charles Nicholas Aubé, physician and entomologist (died 1869). 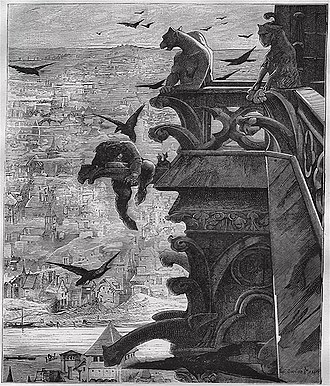 22 June - Émile de Girardin, journalist, publicist and politician (died 1881). 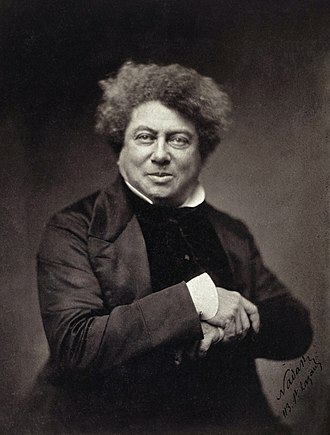 24 July - Alexandre Dumas, père, writer (died 1870). 2 August - Louis Désiré Blanquart-Evrard, photographer (died 1872). 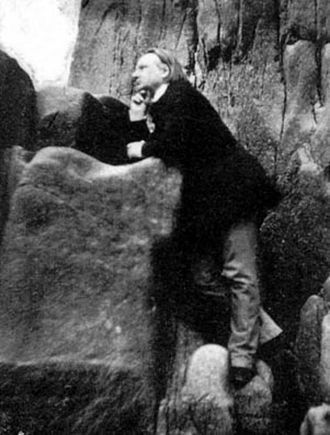 24 September - Adolphe d'Archiac, geologist and paleontologist (died 1868). 30 September - Antoine Jérôme Balard, chemist and discoverer of bromine (died 1876). 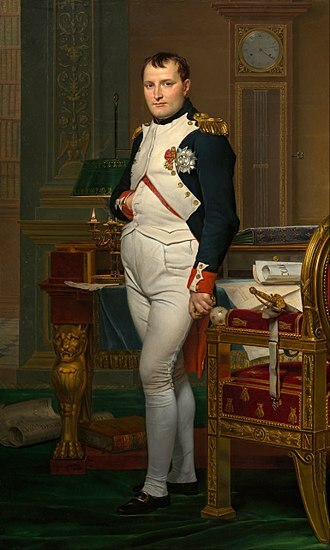 10 October - Napoleon Charles Bonaparte, eldest son of Louis Bonaparte (died 1807). 15 October - Louis-Eugène Cavaignac, General (died 1857). 31 October - Benoît Fourneyron, engineer, designed the first practical water turbine (died 1867). 13 November - Jean Gailhac, priest (died 1890). 18 November - Jules Baroche, statesman and Minister (died 1870). 1 December - Armand-François-Marie de Charbonnel, Bishop of Toronto (died 1891). Eugène Flachat, civil engineer (died 1873). 18 January - Antoine Darquier de Pellepoix, astronomer (born 1718). 7 February - Philippe-Louis-François Badelard, soldier and surgeon (born 1728). 21 February - René Maugé de Cely, zoologist. 7 March - Clothilde of France, Princess and Queen Consort of Sardinia (born 1759). 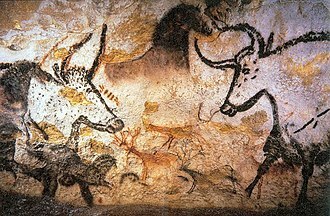 1 April - Joseph Duplessis, painter (born 1725). 3 April - Philippe-François de Rastel de Rocheblave, soldier, businessman and politician in Lower Canada (born 1727). 11 July - Alexandre Dumas, lawyer, notary, businessman and political figure in Lower Canada (b. c1726). 15 July - Louis-Marie Stanislas Fréron, politician and journalist (born 1754; yellow fever). 22 July - Marie François Xavier Bichat, anatomist and physiologist (born 1771). 24 July - Joseph Ducreux, painter and engraver (born 1735). 12 August - Louis Lebègue Duportail, soldier and Minister (born 1743). 3 September - Antoine Richepanse, Revolutionary general and colonial administrator (born 1770). 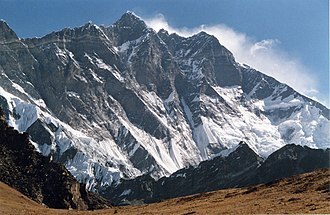 11 October - André Michaux, botanist and explorer (born 1746). 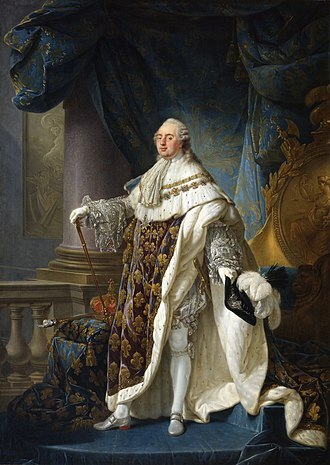 30 October - Charles Alexandre de Calonne, statesman (born 1734). 2 November - Charles Leclerc, General and brother-in-law of Napoleon I of France (born 1772). 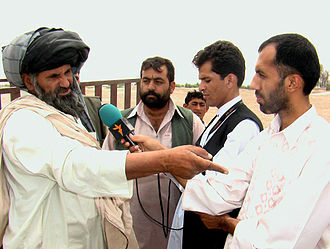 A playwright, known as a dramatist, is a person who writes plays. The term is not a variant spelling of playwrite, but something quite distinct, hence the prefix and the suffix combine to indicate someone who has wrought words and other elements into a dramatic form - someone who crafts plays. 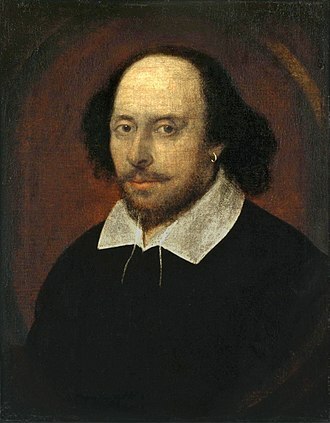 The homophone with write is in this case entirely coincidental, the term playwright appears to have been coined by Ben Jonson in his Epigram 49, To Playwright, as an insult, to suggest a mere tradesman fashioning works for the theatre. Jonson described himself as a poet, not a playwright, since plays during that time were written in meter and this view was held as late as the early 19th century. The term playwright lost this negative connotation, the earliest playwrights in Western literature with surviving works are the Ancient Greeks. These early plays were written for annual Athenian competitions among playwrights held around the 5th century BC, such notables as Aeschylus, Sophocles and Aristophanes established forms still relied on by their modern counterparts. 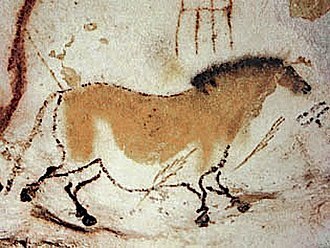 For the ancient Greeks, playwriting involved poïesis, the act of making and this is the source of the English word poet. In the 4th century BCE, Aristotle wrote his Poetics, the first play-writing manual, in this famous text, Aristotle established the principle of action or praxis as the basis for all drama. He included a hierarchy of elements for the beginning with plot, thought, music. The ends of drama were plot and thought, the means of drama were language and music, since the myths, upon which Greek tragedy were based, were widely known, plot had to do with the arrangement and selection of existing material. 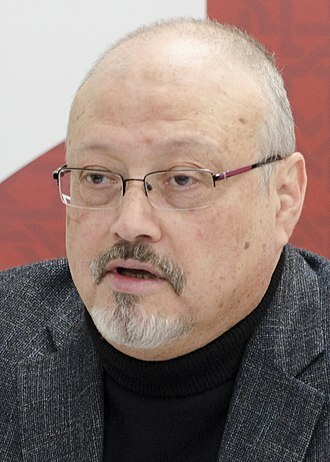 Character was equated with choice as rather than psychology, so that character was determined by action, in tragedy, the notion of ethical choice determined the character of the individual. Thought had more to do and the imitation of an action that is serious, thus, he developed his notion of hamartia, or tragic flaw, an error in judgment by the main character or protagonist. It provides the basis for the play, a term still held as the sine qua non of dramaturgy. 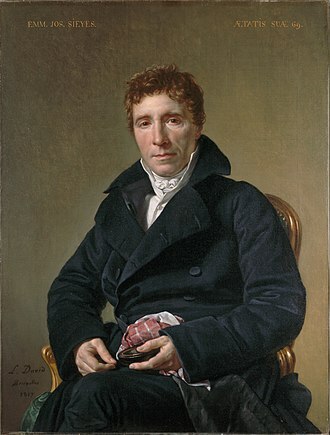 Comte Gustave Auguste Bonnin de la Bonninière de Beaumont was a French magistrate, prison reformer, and travel companion to the famed philosopher and politician Alexis de Tocqueville. 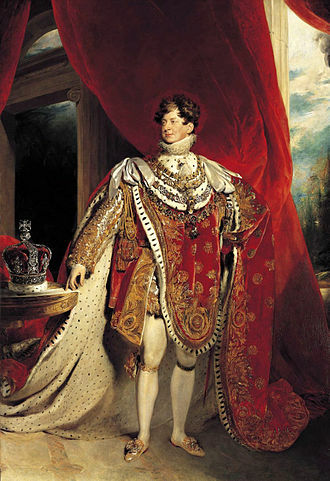 While he was successful in his lifetime, he is often overlooked. Beaumont was born on 6 February 1802 in Beaumont-la-Chartre, Sarthe to the count Jules de Beaumont and he was the youngest of 4 children. Beaumont spent his years in the chateau de La Borde in his birthplace. Like Tocqueville, Beaumont came from nobility, he was a descendant of the Bonin de la Bonnière family, in 1826, Beaumont acquired the position of Kings Prosecutor at the Tribunal de Première Instance at Versailles. It was during this tenure that he first met Alexis de Tocqueville, during their journey, their friendship grew and so did their intellectual involvement. Although the 1833 writing was successful, Tocqueville was given intellectual recognition and this was the first step in Beaumonts having to live in his friends shadow in fame. Beaumont wrote LIrlande, politique, et religieuse, Gustave de Beaumont married Clémentine de Lafayette in 1836. 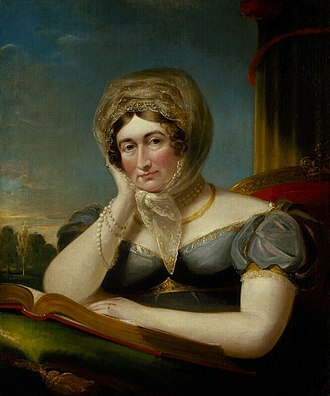 Beaumont wrote a book entitled Ireland about two journeys he had made to the area, one with Tocqueville in 1835, and another with his wife in 1837. Under the July Monarchy, Beaumont was elected deputy for Mamers in the Sarthe in December 1839 and this rift did not destroy their friendship, but the two did not speak to each other for quite some time. 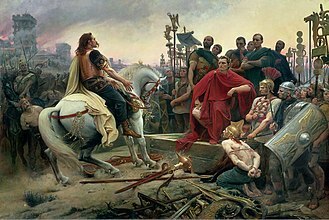 The Revolutions of 1848 reconciled them, and soon they were both in agreement in their beliefs on the republic, in August,1848, Beaumont was elected plenipotentiary minister to London, and at the presidential elections of 10 December, they gave their support to Cavaignac. His defeat resulted in Beaumonts resignation, but Beaumont returned to French political affairs by being elected second on the list for the department of La Sarthe in the Legislative assembly. Tocquevilles election to the post of Ministry of Foreign Affairs benefitted Beaumont, Cavaignac appointed him Ambassador to England. 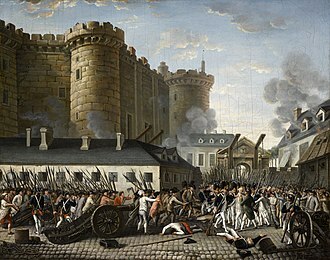 One of the opponents of the coup détat, he was imprisoned for some time in the fortress of Mont Valérien, although Tocqueville and Beaumont remained close friends, Beaumont was forced financially to turn away from society and retire to his chateau de Beaumont-la-Chartre. 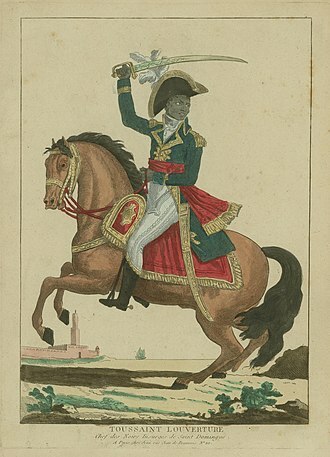 François-Dominique Toussaint Louverture, known as Toussaint LOuverture or Toussaint Bréda, was the best-known leader of the Haitian Revolution. 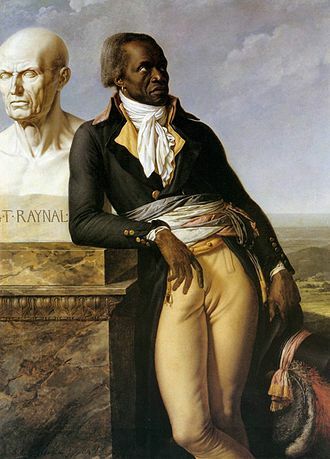 His military and political acumen saved the gains of the first Black insurrection in November 1791 and he first fought for the Spanish against the French, for France against Spain and Britain, and finally, for Saint-Domingue s colonial sovereignty against Napoleonic France. 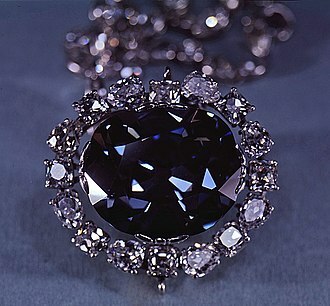 Though Toussaint did not sever ties with France, his actions in 1800 constituted a de facto autonomous colony, the colonys constitution proclaimed him governor for life even against Napoleon Bonapartes wishes. He died betrayed before the final and most violent stage of the armed conflict, his achievements set the grounds for the Black armys absolute victory and for Jean-Jacques Dessalines to declare the sovereign state of Haiti in January 1804. Toussaints prominent role in the Haitian success over colonialism and slavery had earned him the admiration of friends, Toussaint Louverture began his military career as a leader of the 1791 slave rebellion in the French colony of Saint-Domingue, he was by a free black man and a Jacobin. Initially allied with the Spaniards of neighboring Santo Domingo, Toussaint switched allegiance to the French when they abolished slavery and he gradually established control over the whole island and used political and military tactics to gain dominance over his rivals. 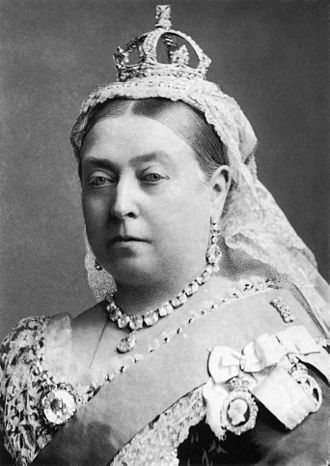 Throughout his years in power, he worked to improve the economy and he restored the plantation system using paid labour, negotiated trade treaties with Britain and the United States, and maintained a large and well-disciplined army. 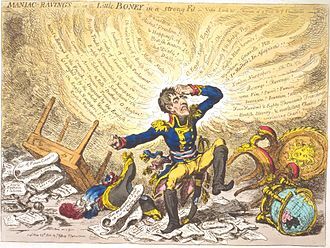 In 1801, he promulgated an autonomist constitution for the colony, in 1802 he was forced to resign by forces sent by Napoleon Bonaparte to restore French authority in the former colony. 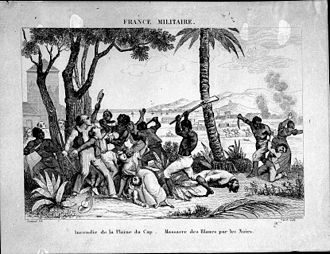 He was deported to France, where he died in 1803, the Haitian Revolution continued under his lieutenant, Jean-Jacques Dessalines, who declared independence on January 1,1804. The French had lost two-thirds of forces sent to the island in an attempt to suppress the revolution, almost nothing is known for certain about Toussaint Louvertures early life, as there are contradictory accounts and evidence about this period. The earliest records of his life are his recorded remarks and the reminiscences of his legitimate son Isaac Louverture. 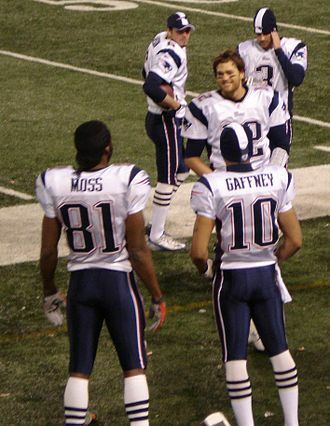 His mother Pauline was Gaou Guinous second wife, the couple had several children, of whom Toussaint was the eldest son. Pierre Baptiste Simon is usually considered to have been his godfather, Toussaint is thought to have been born on the plantation of Bréda at Haut de Cap in Saint-Domingue, which was owned by the Comte de Noé and managed by Bayon de Libertat. His date of birth is uncertain, but his name suggests he was born on All Saints Day and he was probably about 50 at the start of the revolution in 1791. Various sources have given birth dates between 1739 and 1746, because of the lack of written records, Toussaint himself may not have known his exact birth date. 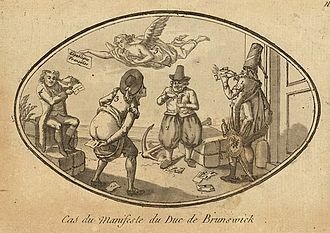 In childhood, he earned the nickname Fatras-Bâton, suggesting he was small and weak, though he was to become known for his stamina, an alternative explanation of Toussaints origins is that he arrived at Bréda with a new overseer who took up his duties in 1772. Anne-Louis Girodet de Roussy-Trioson's depiction of Belley. The Fort de Joux dominating the main road between France and Switzerland for centuries. Mgr. Dupanloup's mausoleum in the Orléans Cathedral, by Henri Chapu, 1888–1891. 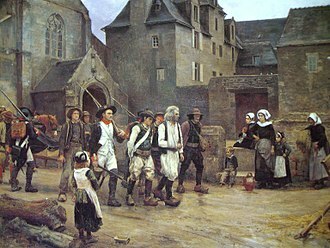 Attack and take of the Crête-à-Pierrot by Auguste Raffet.